Use your stash of tiny, versatile seed beads for stringing, stitching, or crochet--any way will make a beautiful seed bead bracelet pattern! If you like to make beaded jewelry, chances are you are looking for a way to use up the seed beads taking up precious space in your stash. Clear your stash of all of the extra seed beads, and make yourself a cute bracelet in the process with this collection of DIY Seed Bead Bracelets. There is no need to waste your hard-earned money on patterns with free bead patterns as great as the ones in this collection! Seed beads can be purchased in a variety of sizes and shapes to put your own spin on these seed bead projects. Whether you purchase your seed beads at the dollar store, or splurge on gorgeous Delica beads, these tiny beads always make a pretty piece of jewelry. From stringing to stitching, and even crochet seed bead bracelet patterns, this collection has a mix of different ways to make a bracelet, all using these little seed beads loved by crafters around the world. Learn how to make your own bracelet with budget-friendly seed beads! These beads are easiest to work with in the largest size, which is 6/0, or approximately 4mm in diameter. Once you have some experience with these seed bead bracelet patterns for beginners, you might be comfortable enough to use 8/0 or 10/0 size seed beads. These tiny beads are made in sizes as small as 15/0 (approximately 1.3mm diameter), so once you master the larger sizes you can work your way down to the smallest. 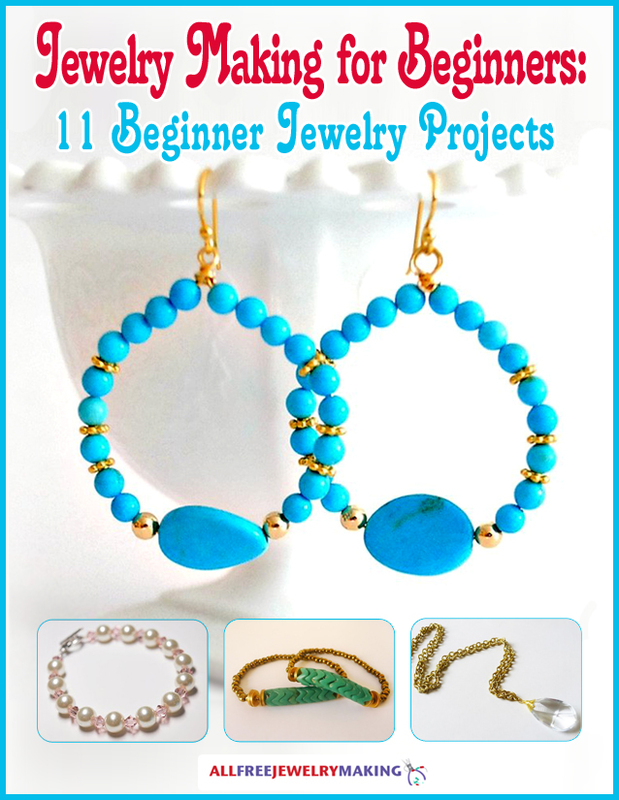 These beginner beaded bracelet patterns will introduce you to the world of seed beading without overwhelming you. Stay cool and look cute during warm weather with lightweight seed bead bracelets! These bracelets are easy to make, and just as easy to wear, so there is no reason not to make them. The cool spiral shape of this bracelet might look tricky, but with step-by-step instructions and a surprisingly simple technique, this bracelet is easy enough for beginner beaders to make. Why settle for one bracelet when you can decorate your wrists with several? These easy seed bead bracelets are dainty enough to wear a whole stack of them without weighing you down. Use seed beads to create a Morse code message with this clever bracelet idea! All it takes is simple bead stringing, so beginners can definitely make this beaded wrap bracelet. Get tangled up in blue with these beautiful cool-colored bracelets. This project is a great way to used up leftover seed beads from other projects, and could be made in any color scheme you’d like! Add a bit of color to your life with these seed bead bracelets. This seed bead pattern is so easy and quick that you will want to make one of these bracelets to match every outfit in your wardrobe. Sometimes more is more, which is why this seed bead bracelet tutorial is a favorite. Learn three different, easy ways to make bracelets with seed beads, and wear them all at once, or individually. After you learn the basics of making jewelry with seed beads, you might start itching for a more complicated seed bead bracelet pattern. That is where bead weaving comes in! Simple bead stringing is a great, relaxing craft, but bead weaving is the best way to create beautiful and intricate pieces of beadwork. These free bead patterns for weaving all use seed beads, too, so you can still clear your stash while tackling a more complicated pattern. Peyote stitch patterns are an excellent use of seed beads, and this pastel cuff will help to clear out your stash. This pattern has a free printable PDF download, too, so you can bead on the go. No one does sparkle better than Swarovski, so pairing their crystals with shiny seed beads is an easy way to make a glamorous bracelet. This stitched bracelet is like a regal tiara for your wrist! Is it even possible to have too many beaded bracelets? Not as far as we’re concerned! Even if you have dozens of bracelets in your collection, you’ll want to make this pretty spiral design, too. Royal blue beads give a regal, glamorous effect to this crystal and seed bead bracelet pattern. You do not have to have royal blood to wear jewelry fit for a queen! If you have been wanting to try using Silky beads, this bracelet pattern is a perfectly pretty project to try. Plus, the bronze seed beads add an elegant embellishment to the seafoam Silky beads. If you are an experienced beader, you know that seed bead quality is not always consistent when using inexpensive brands. Once you have tired of sorting through bargain bin seed beads for uniform sizes, you may choose to shell out on some top-of-the-line Miyuki Delica seed beads. These tiny, Japanese beads are high quality and reliably-sized beads that work especially well for intricate beadwork and bead weaving. Upgrade a plain cuff bracelet by adding a pretty piece of beadwork! This elegant bead loom cuff bracelet uses Miyuki Delica beads for a uniform stitching pattern and a big impact. What could be better than a free peyote stitch pattern? Why, a free downloadable PDF peyote stitch bracelet pattern, of course! This peyote bracelet has an easy-to-follow graph for peyote newbies. Add a fab fruity touch to your bracelet collection with this sweet watermelon-inspired bangle. Gorgeous Delica beads in bold colors make this bracelet a cute statement piece you’ll adore. No matter the time of year, the golden days of autumn are a beautiful time to remember. Show off your loom weaving skills in the vibrant colors of fall sunlight and autumn leaves. Sleek pewter seed beads are the perfect complement to the regal purple beads in this elegant bracelet. This pattern may prove tricky to new beaders, but experienced beaders will enjoy this beading challenge. Use Miyuki Delica beads in a variety of bold colors to make this fun statement bracelet. Show off your Halloween spirit or delight in this whimsically macabre design year-round. Crochet hooks aren’t just for yarn, anymore! Crochet may traditionally be used to make cozy scarves and blankets, but the technique is equally wonderful for creating bracelets. Whether you prefer to crochet with yarn, hemp, or even wire, seed beads will definitely upgrade your crochet bracelet pattern. Wire adds a surprisingly chic touch to this crochet seed bead bracelet. You can pick beads in any color to match your sense of style, or stick with the original design for a mindless project. Wish bracelets are meant to be worn until they fall off, and with one so cute, you will want it to last as long as possible! This bracelet pattern is so easy to make, and will match pretty much any outfit. If you are a surfer chick, or just love the casual surfer sense of style, this crochet bracelet is perfect for days in the sun. For an even more summery accessory, wear this as an ankle bracelet! The contrast of the soft yarn and sleek metallic chain has a cool mixed media effect on this easy bracelet pattern. Even beginner crocheters can pull off this chic crochet bracelet! The cluster stitches in this bracelet look like cute little conch shells, which makes it perfect for a day at the beach. Or, stitch up this bracelet while daydreaming about your perfect vacation! What is your favorite size or shape of seed bead to work with? Some of these bracelets are SO ELEGANT! I always thought seed beads seemed more casual, and some of the projects here are more for everyday occasions, but there are some really pretty projects here for a night out!